Welcome to Marvelous Margot, your newest source on the Australian actress Margot Robbie. You probably know Margot for her launching role in Martin Scorsese's Wolf of Wall Street, and most recently seen in The Legend of Tarzan (as Jane Porter) and Suicide Squad (Harley Quinn). Her upcoming projects include I, Tonya - where she plays the ice skater Tonya Harding, and Gotham City Sirens - movie centered on the female criminals of the DC Universe. The site aim is to update you with all the latest news, photos and media concerning Margot's career. Take a look around and enjoy your stay! Thank you for visiting the site and be sure to come back soon! Terminal follows two assassins with a sinister mission, a fatally ill teacher, an enigmatic janitor and a waitress with a double life. Murderous consequences unravel as their lives meet at the hands of a criminal mastermind wanting revenge. Competitive ice skater Tonya Harding rises among the ranks at the U.S. Figure Skating Championships, but her future in the sport is thrown into doubt when her boyfriend intervenes. Following three of Gotham City's most notorious female criminals (Harley Quinn, Poison Ivy and Catwoman) on one of their most dangerous missions yet. After a conspiracy to conquer England in which the love of her life Robin Hood dies before her eyes, Marian picks up the cause to lead her people into a pivotal war. She comes to power, charging into a battle that will not only decide the fate of the kingdom but will see her don the mantle of the man she loved. In the process, she rises as a legend herself. Marvelous Margot is a non-profit website made by fans for fans. We have no affiliation with Margot Robbie herself or anyone representing her in anyway. All content is copyrighted to the owners. Hotlinking is forbidden. If you feel any of the material rightfully belongs to you & want it removed, contact us & it'll be taken off without question. If you have any complaints please contact us before taking action. 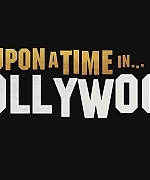 W MAGAZINE – Regina King, Emily Blunt, Lakeith Stanfield, and more of Hollywood’s biggest stars celebrate New Year’s Eve the most delightful way they know how—by popping the cork on bottles of champagne. Margot Robbie shows Michael B. Jordan how to pop a bottle with ease. While Rami Malek and Eddie Redmayne go full on rockstar. Cheers! On Monday night (December 10) Margot attended the London premiere of her new movie Mary Queen of Scots, together with Saoirse Ronan, the movie director Josie Rourke and the rest of cast & crew. She looked very regal and ever so beautiful wearing a Rodarte ruffle hem flocked dot chiffon gown with a sequinned rose at the waist. One of my favorite looks of her so far! THE NEW YORK TIMES – When Josie Rourke made her pitch to direct “Mary Queen of Scots,” about the royal rivalry between the Scottish ruler Mary Stuart and the English Queen Elizabeth I, she suggested thinking of the movie as a renaissance version of “Heat.” Like that thriller, which cast Al Pacino and Robert De Niro on opposite sides of the law, “what the film needed was a really great scene for two women to play opposite each other,” Rourke said. Much of “Mary Queen of Scots” (due Friday) builds to that moment when Mary and Elizabeth finally meet — a cinematic flourish, as historians believe the two communicated only by letter. The film’s scene is the sort of centerpiece that only works if you know the women playing it are formidably matched equals offscreen, too. 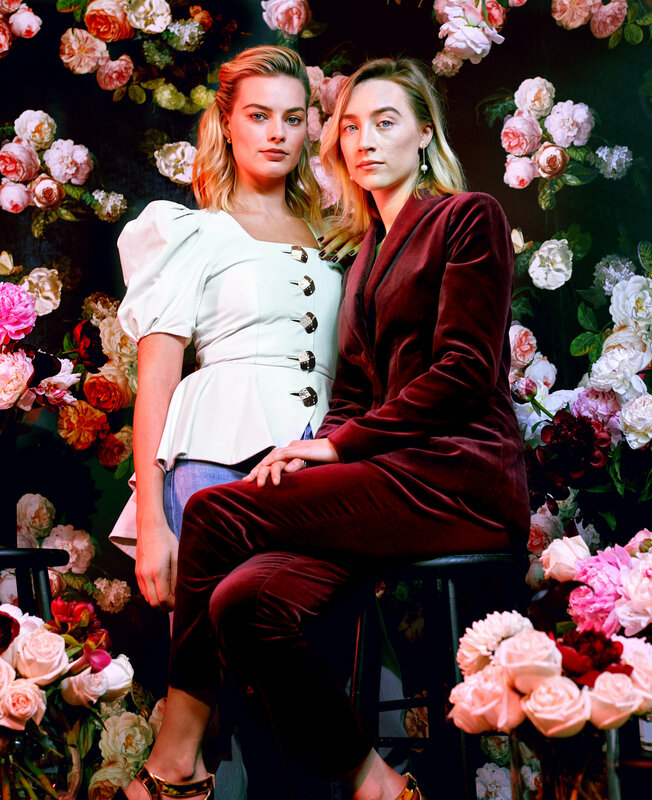 In casting Margot Robbie as Elizabeth opposite Saoirse Ronan’s Mary, Rourke found a pair so well-matched that they even competed against each other for last season’s best actress Oscar. Ronan was nominated then for “Lady Bird,” a coming-of-age tale that signaled the 24-year-old actress’s interest in playing complicated young women, while Robbie was in the mix for her performance in “I, Tonya” as the disgraced figure skater Tonya Harding, proving the 28-year-old actress could play roles quite unlike her breakout bombshell in “The Wolf of Wall Street.” The two women sit atop Hollywood’s young A-list, but Ronan and Robbie both bristle at traditional notions of how an actress — or, for that matter, a queen — is expected to wield that power. On Monday (December 03) Margot attended a Mary Queen of Scots screening with Q&A hosted by Women of the World, togehter with the movie director Josie Rourke. During the event Margot wore a Rouje Gabin Dress, in rose print holly (thanks Dress Like Margot). Photos from the panel have now been added to the gallery, enjoy! Always on Tuesday night (December 04) Margot also attended the Chanel Metiers D’Art 2018/19 Show held at The Metropolitan Museum of Art in New York. For the occasion she wore a black oversized tulle dress from the Chanel Spring/Summer 2019 Collection with Paul Andrew aristata peep toe mules shoes (infos by Dress Like Margot). Photos from the event have now been added to the gallery, be sure to check them out! On Tuesday, December 4, Margot attended the New York Premiere of Mary Queen of Scots, held at the Paris Theater in New York. The premiere was also attended by her co-star Saoirse Ronan, the movie director Josie Rourke and other cast and crew members. More than 500 photos from the event have now been added to the gallery, be sure to check them out and enjoy! 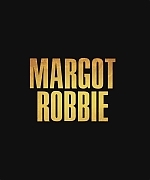 Also keep our site twitter checked in case of any new additions @MargotRobbieCom. USA TODAY – Margot Robbie is being royally honest. The star of “Mary Queen of Scots” (in theaters Friday in New York and Los Angeles, expands to additional cities Dec. 21) wasn’t simply in the market for a juicy part when she signed on to play Queen Elizabeth I opposite Saoirse Ronan, who takes on the romantic (and doomed) Scottish monarch. She was trying to add to her girl gang. The dueling queen drama was thus coronated. “Mary Queen of Scots” examines the fraught relationship between the dueling Scottish royal and her English cousin during their 16th-century reigns. The younger Mary, who herself had reasonable claim to the English throne, married and produced a male heir, posing a two-pronged threat to Elizabeth’s reign. She was also a Catholic slandered by claims of sexual promiscuity and forced to flee Scotland. Yesterday morning (December 04) Margot was guest at ‘Good Morning America’, where she talked once again about the upcoming movie Mary Queen of Scots, her co-star Saoirse Ronan and the Harley Quinn movie. 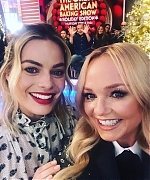 Several photos of Margot outside the ABC studios have been added to the gallery, together with a selfie of her and Emma Bunton! Below you can also watch her piece of the interview during the show. Enjoy! Back on Monday night (December 03) Margot was guest The Tonight Show Starring Jimmy Fallon, where she talked about her upcoming movie Mary Queen of Scots but also the Harley Quinn one! Margot Robbie and Jimmy have the most awkward handshake ever before diving into talk about Birds of Prey (and the Fantabulous Emancipation of One Harley Quinn) and what she was doing the moment she heard she’d been nominated for an Oscar for I, Tonya. Margot Robbie talks about being kept from her co-star Saoirse Ronan during the filming of Mary Queen of Scots. Margot Robbie and Jimmy take turns giving answers to personal questions that only they know, forcing each other to take a mystery shot if they refuse to reveal the question. Yesterday (December 03) Margot attended the SAG-AFTRA Foundation Conversations for her upcoming movie Mary Queen of Scots at the The Robin Williams Center in New York, together with her co-stars Jack Lowden and Joe Alywn. Several photos from the event have now been added to our gallery, be sure to check them out!